We trade and supply in a wide range of Electronics Products. These ranges of products are manufactured by the supplier by making use of latest technology and equipments and high grade materials. These products are from reputed brands. We quality check these products, prior to supplying to our clients. This class of magnets, aside from good resistance to demagnetization, has the popular advantage of low cost. Ferrite magnets are very hard and brittle and require specialized machining techniques. Moreover, they should be machined in an unmagnetized state. 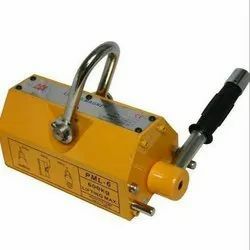 We put forth an exclusive range of Lifting Magnets to our clients. Our offered magnets are manufactured using industry grade basic materials and highly advanced technology in compliance with the set industry standards. It finds usage in numerous applications like efficient loading, unloading, searching metal from hidden object and separating metalic particles from oil and allied medium. Looking for Electronics Products ?